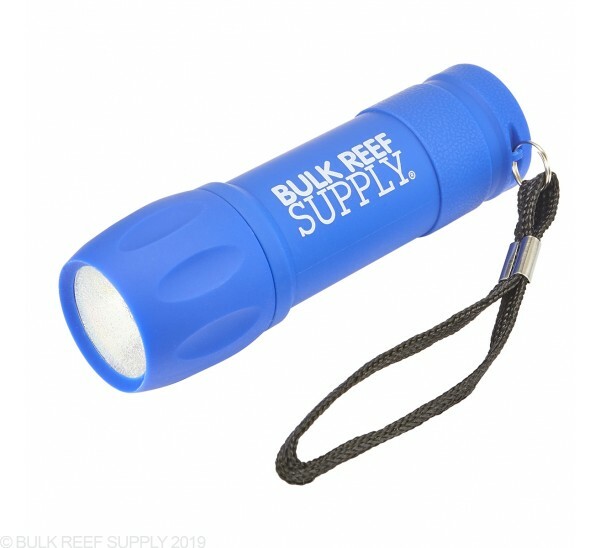 Ever wish you had a dedicated flashlight for your aquarium? There are too many uses for a flashlight to list, and keeping a BRS Rubberized LED Mini Flashlight lets you always have one within reach when working on your tank. The compact flashlight comes with a rubberized coating that will not scratch glass or acrylic aquariums. With ultra-bright LEDs that output up to 60 lumens and running of three AAA batteries (included) you will never be without light. Size - 3 3/4" x 1 1/8"